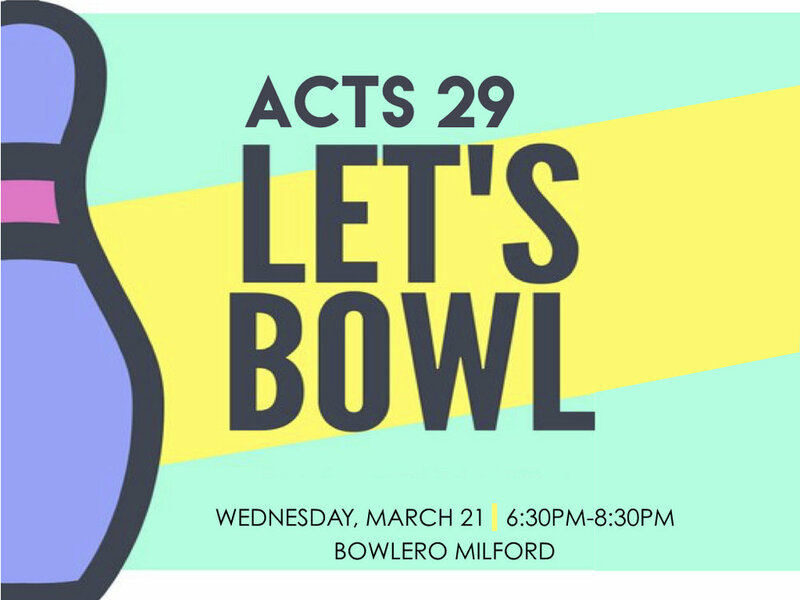 Acts 29 is having a bowling night at Bowlero Milford in Milford, CT. The cost will include shoe rental, bowling, and food. Please meet us at Bowlero Milford at 6:30pm, pickup will be at 8:30pm. Parents are welcome to join. Sign up below or at the Chapel or the office.